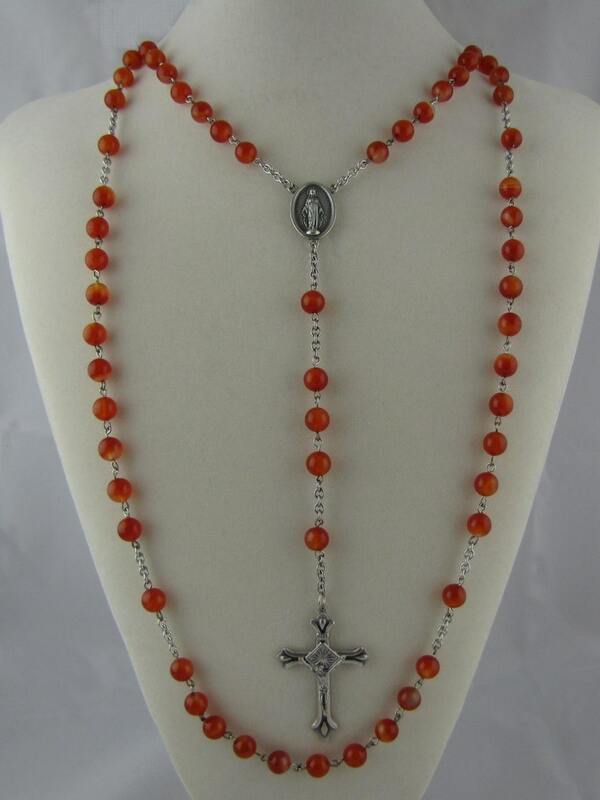 Lovely amber colored glass beads combine with a crucifix and center cast in Italy to make a beautiful rosary. The center has an image of Virgin Mary and contains the inscription “Oh Mary conceived without sin pray for us who have recourse to thee”. This Dominican rosary has five decades, is 42 inches in length and weighs approximately 2 ounces. See the matching rosary bracelet at http://www.etsy.com/listing/47384404/amber-czech-glass-rosary-bracelet.